Finding information about visiting Canada with a boat can be difficult even with the internet. Here is information for Boaters and others visiting Canada. This information is geared to boating because boaters have very specific safety and operator requirements when bringing a boat into or operating a boat in Canada. What you need to know about operating a boat in Canada, including educational requirements and Canada’s Pleasure Craft Operator Card (Operators “License”) requirements and equivalency requirements for foreign visitors. CANPASS permit holders who wish to enter Canada aboard private boats from the United States to receive pre-authorized customs clearance. The NEXUS program allows low-risk pre-approved travelers to use designated NEXUS border crossings without being subject to regular questioning by customs and immigration officers. Environmental Protection and to report Poachers and Polluters. The fine folks at the Department of Fisheries & Oceans Canada had a handout at the Seattle Boat Show with useful information for boaters and sportsmen visiting Canada. A special thanks to them for the original list and Lee Youngblood for helping add more information for boaters. 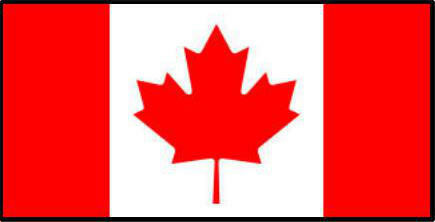 Disclaimer / Note: This is not intended to be all the resources that might be needed by a visitor to Canada, each person entering a foreign country may have unique entry or visa requirements, it is the responsibility of each person visiting a foreign country to do the due diligence and research for their own requirements. This information was accurate at the time of publication but may have changed since publication. Thanks for your support of Boating Safety. This entry was posted in Boating Safety and tagged Canadian Customs, visiting Canada. Bookmark the permalink. Hi there, nice blog. We are living in Holland on an old barge, but we can’t sail the seas. It’s a pity because I have family in Ottawa we would really like to sail your beautiful lakes.